We love doing commissioned, custom, bespoke collaborations with our customers. We work with you at the level that you need. 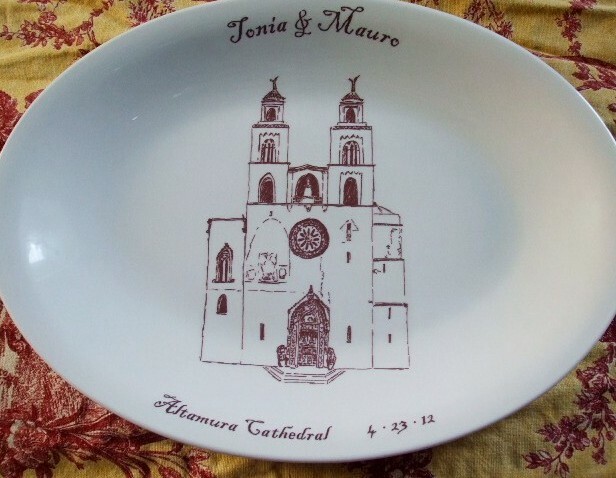 We can do simple bespoke work- where we create a custom image ( like the pen and ink drawing of the Church the couple got married at in Italy above) and apply to one of our commercial platters. We can also take an inspiration- like say the book Wuthering Heights, and the customer's love of flowers and come up with a unique vase design with a quote from a favorite book - like the other photo above. It's up to you! 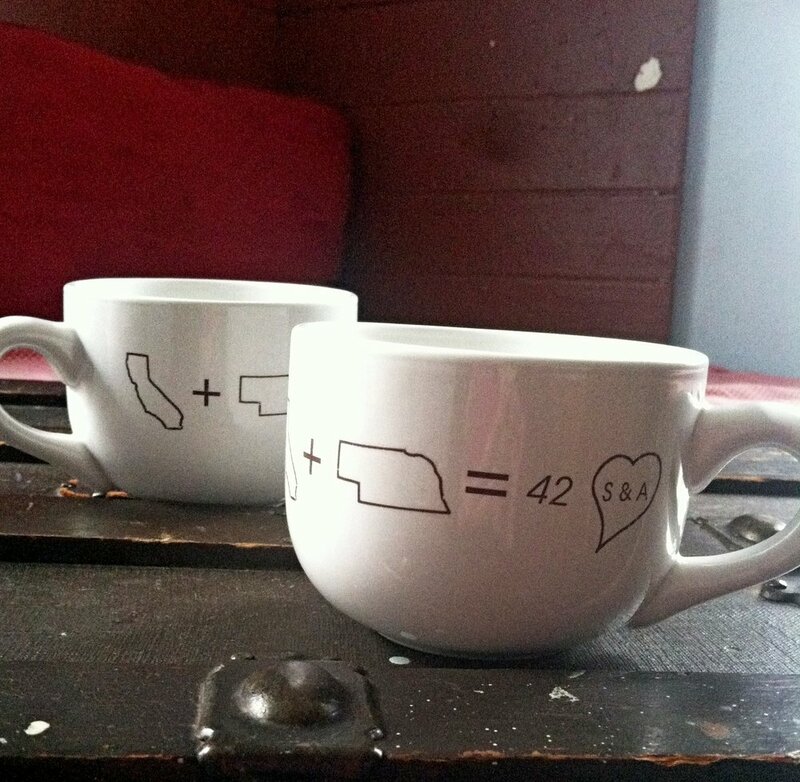 If you want to be part of the entire experience, and want a custom sculpture, painting, or an entire set of dinnerware made- with your unique design- we are happy to do that too. We can meet either in person or via phone or skype and discuss ideas, I will send you videos of your project being made, and send you follow up pictures as we are creating your design. When your project is finished- we can collaborate how you want it presented. Each custom project is unique and so pricing is discussed prior to starting the project. If you are interested in working with us and collaborating on your own custom project please email us or give us a call to get the collaboration started!